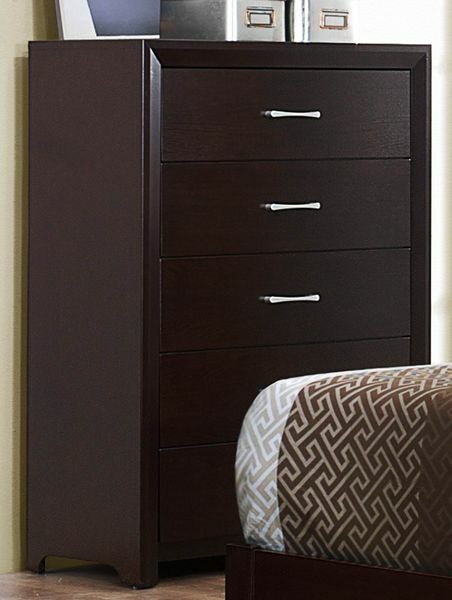 Enhancing the contemporary design of your bedroom is the focus of the Edina Collection. 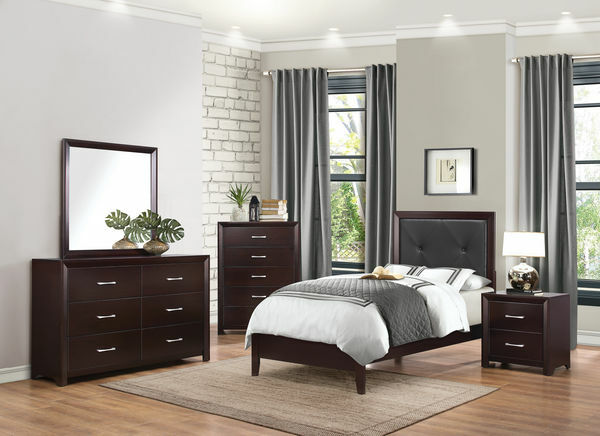 The espresso-hinted cherry finish builds on the unexaggerated lines of this bedroom suite; blended with the tufted vinyl inserts on the headboard and the polished nickel finished hardware; culminates to achieve the modern look. 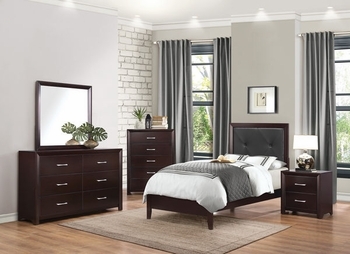 Whether it is a hard contemporary or a softer transitional feel; your d‚cor design options are wide open with this adult bedroom collection; as well as youth.